This is the Anton Class from the FASA tabletop game. 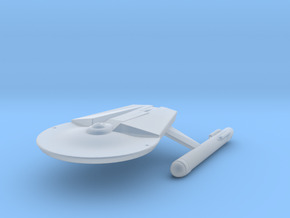 Acording to game material, this is the original configuration of the later Miranda Class (USS Reliant), just as the TOS Constitution is the forerunner of the later TMP refit. 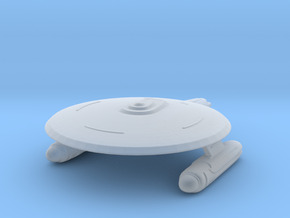 In order to keep this assumption, this version features the same saucer as the TOS Constitution, while FASA used a TMP saucer. 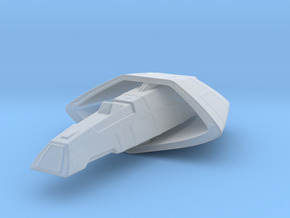 This model also features an additional small deflector dish on the lower main hull. 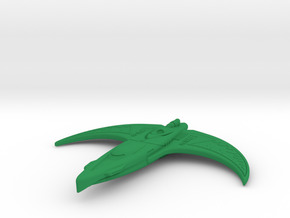 FASA gives a length of 224/226m for this ship, but i matched the sizes of the saucer and the warp nacelles to the same size as the corresponding parts of a TOS Constitution Class Cruiser, which sets the length to 256m for this model.